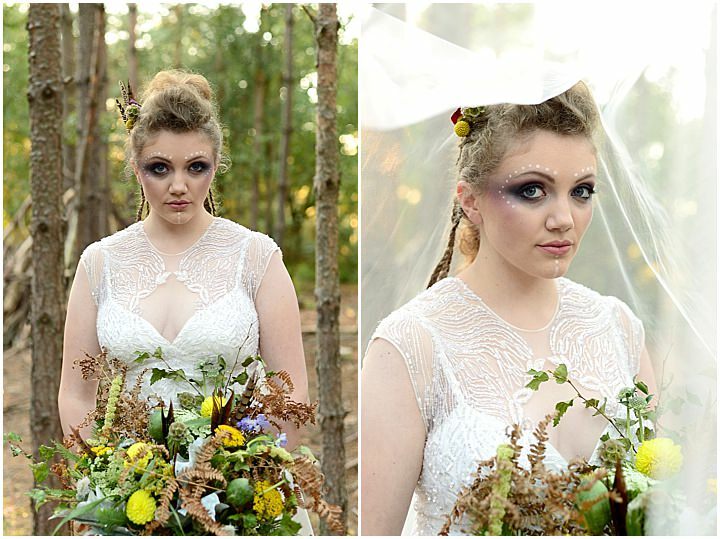 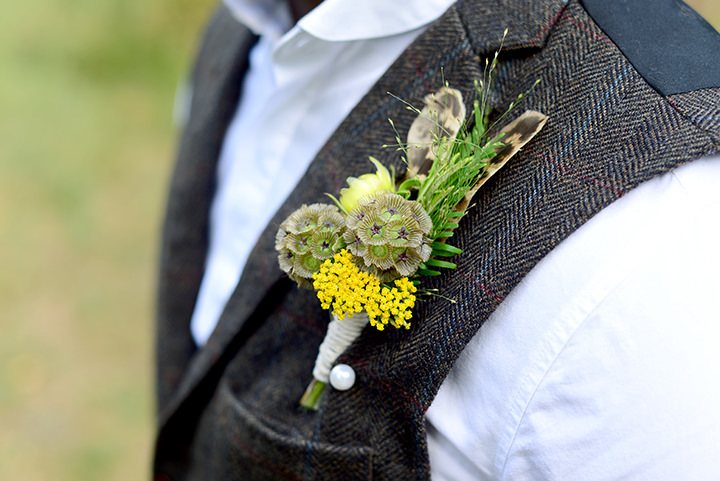 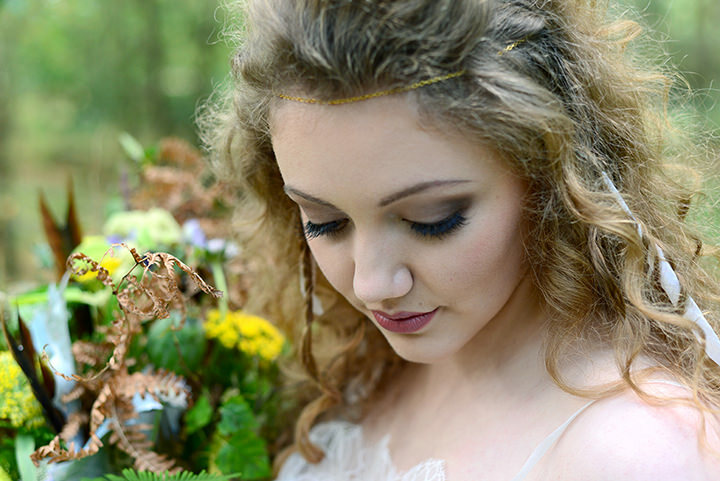 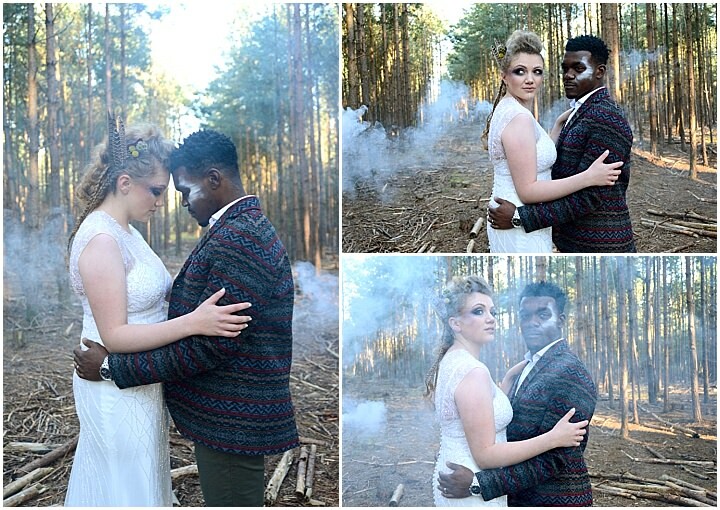 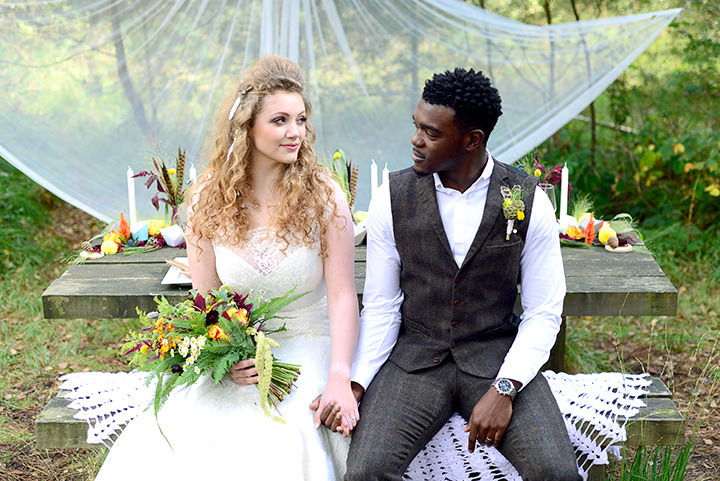 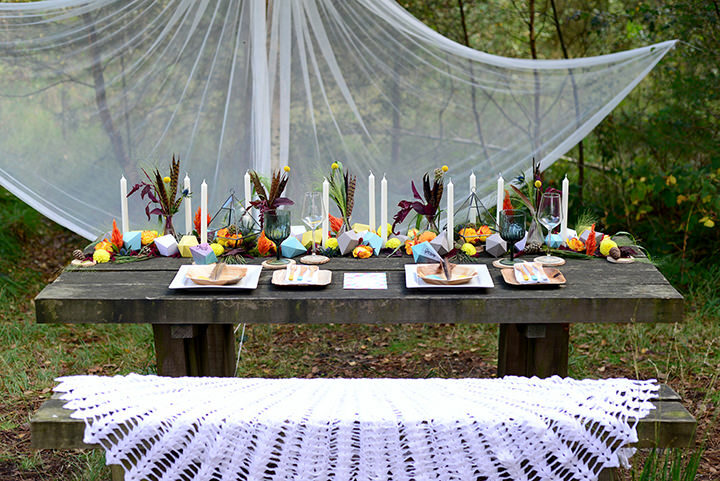 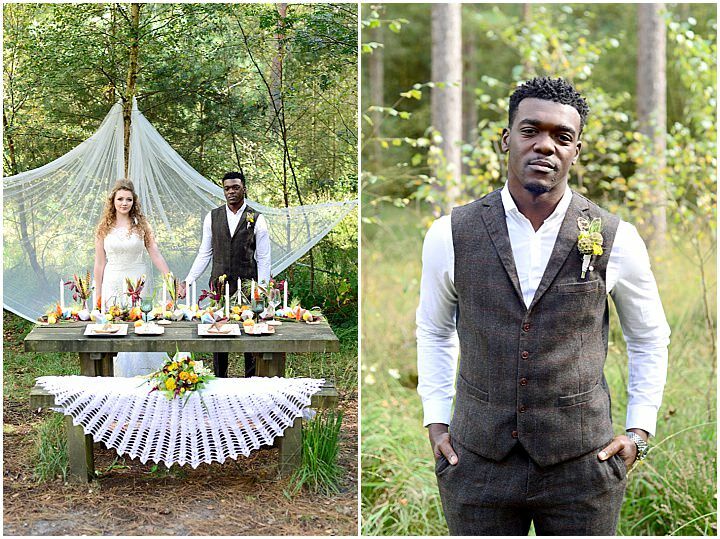 Today we are being treated to some gorgeous images from an inspiration shoot held in the autumn. 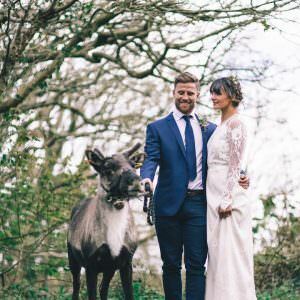 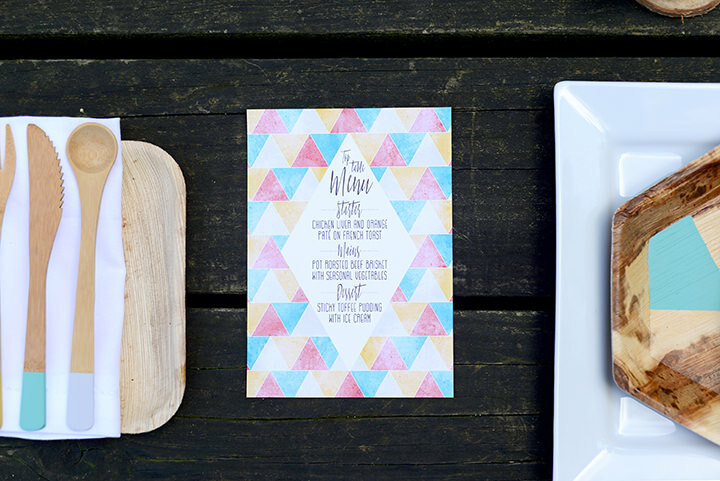 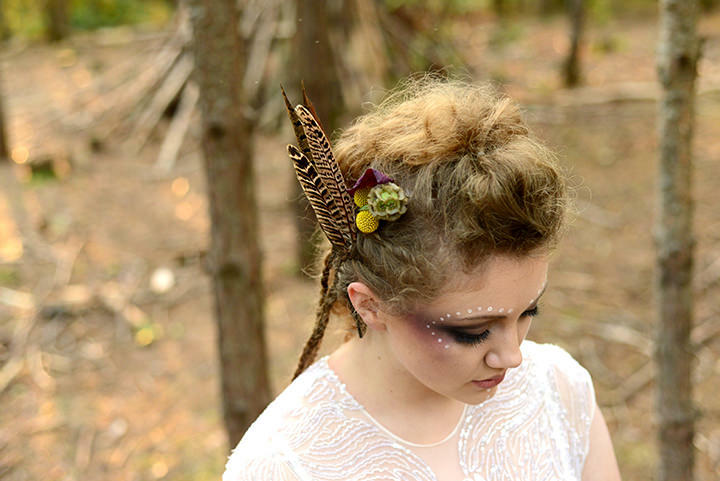 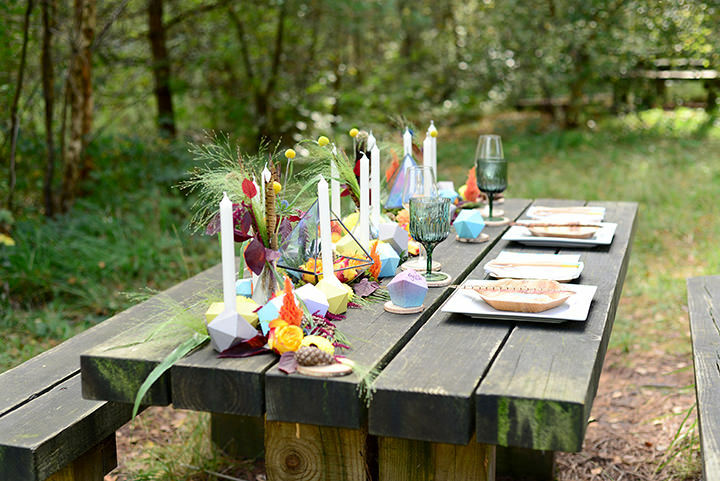 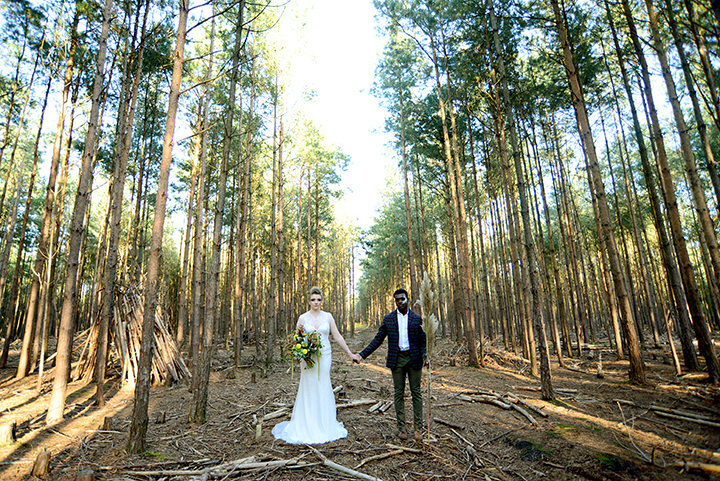 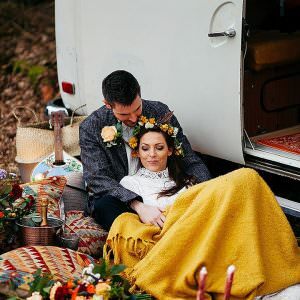 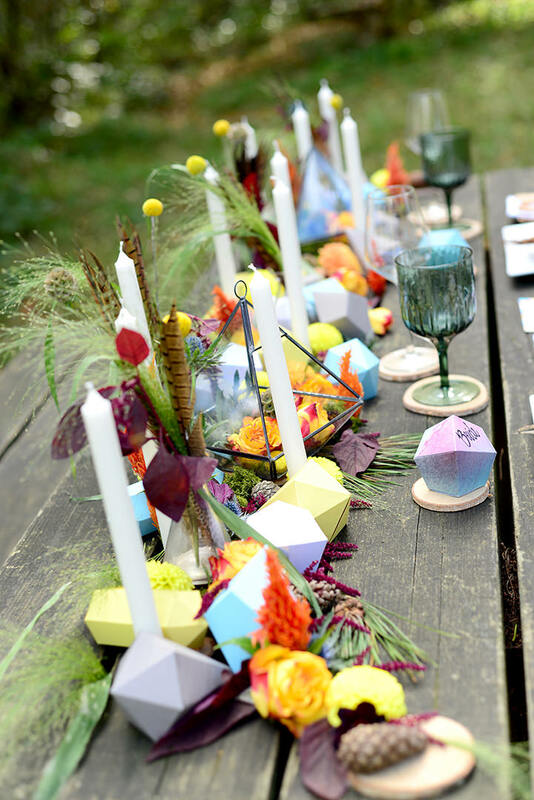 Set in Moors Valley Country Park, Dorset, this boho geometric woodland shoot is full of cute and quirky touches, Native American styling and bold modern shapes. 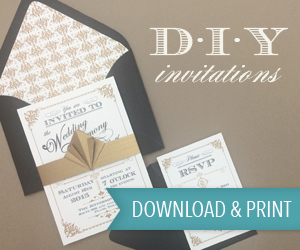 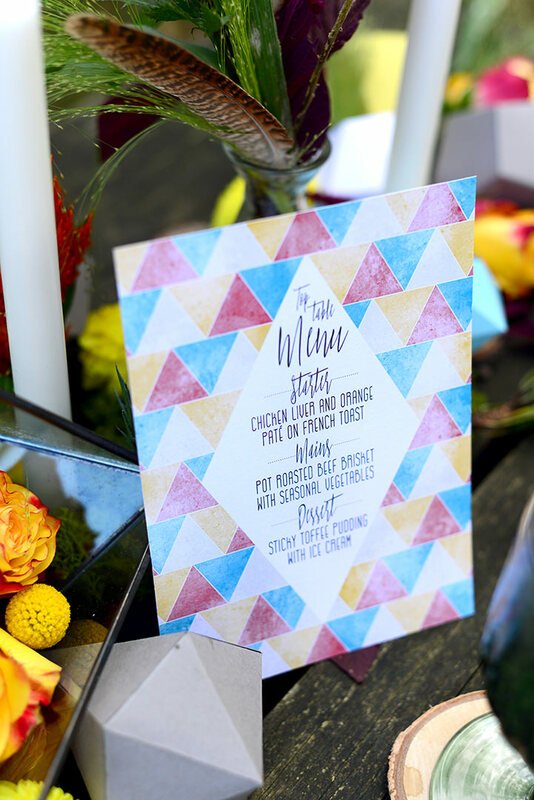 A real mix of styles and themes, it just demonstrates that you can really use everything you love for inspiration, even if they don’t traditionally go together! 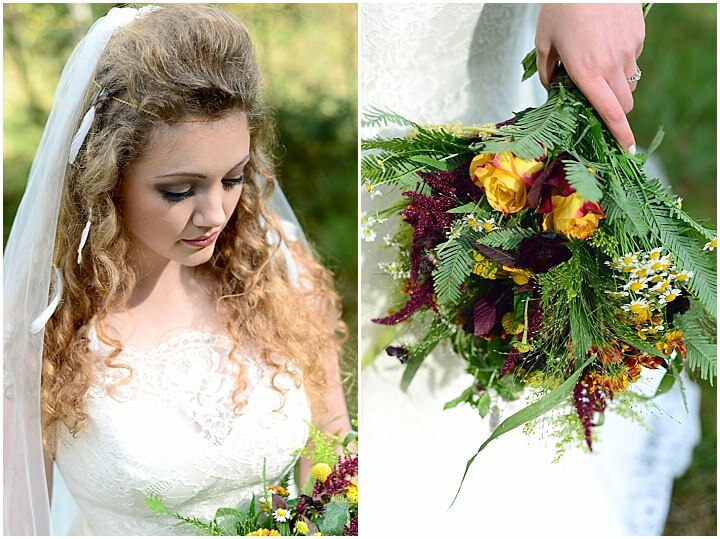 With many thanks to Sophie Bowdler Photography for the images today. 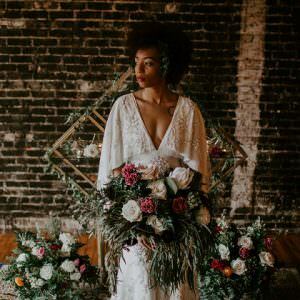 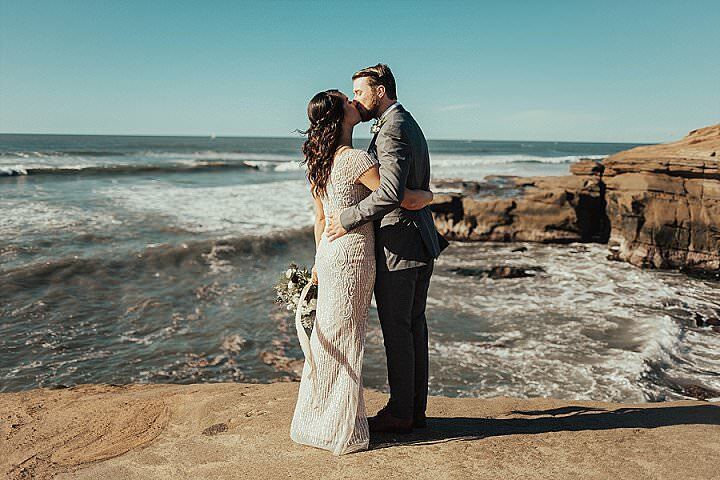 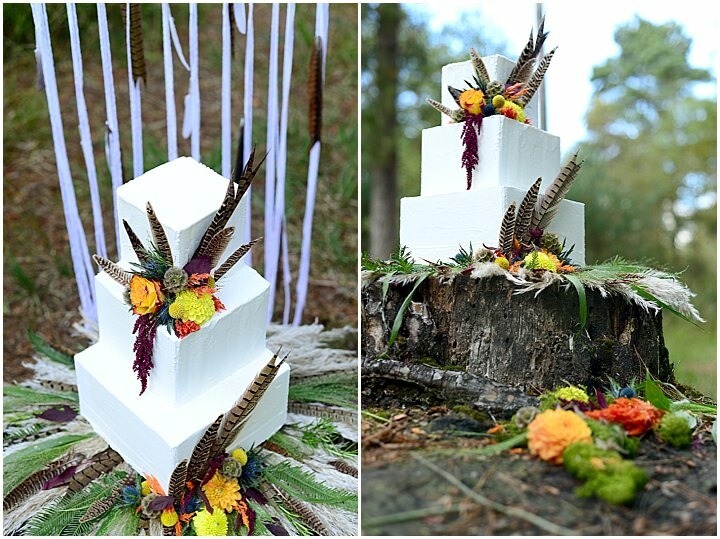 A modern take on the Boho woodland wedding with natural and native American elements, offset against bright and clean edged geometric shapes. 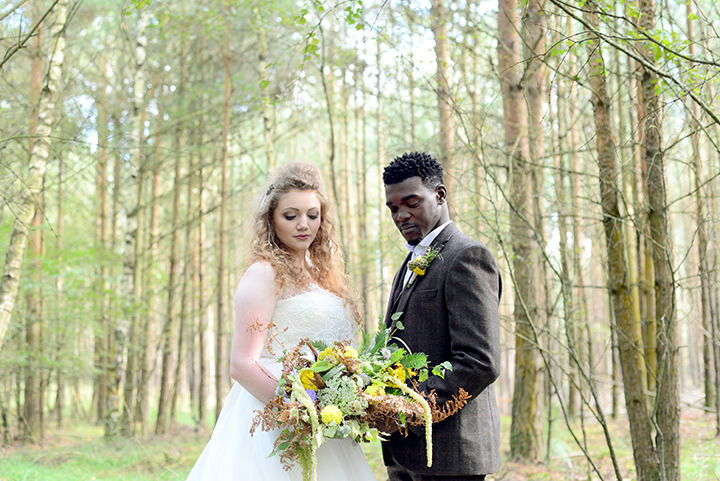 This mix creates a more contemporary twist and raises it from being a standard woodland theme. 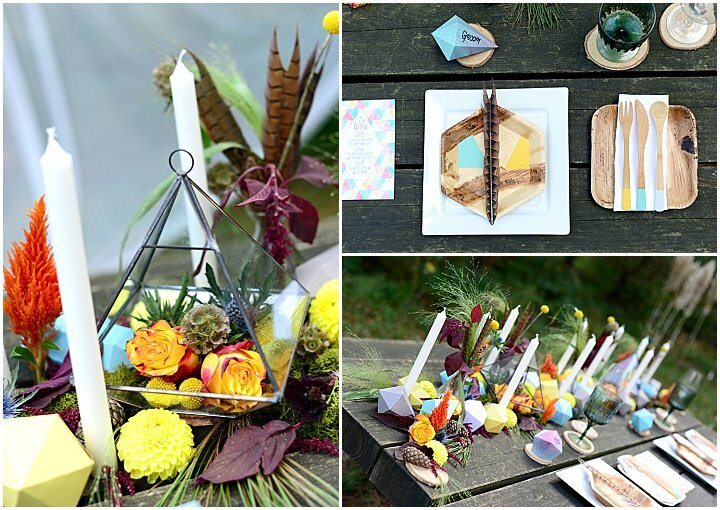 We really enjoy getting creative with styled shoots and bringing a brilliant team of suppliers together on a project. 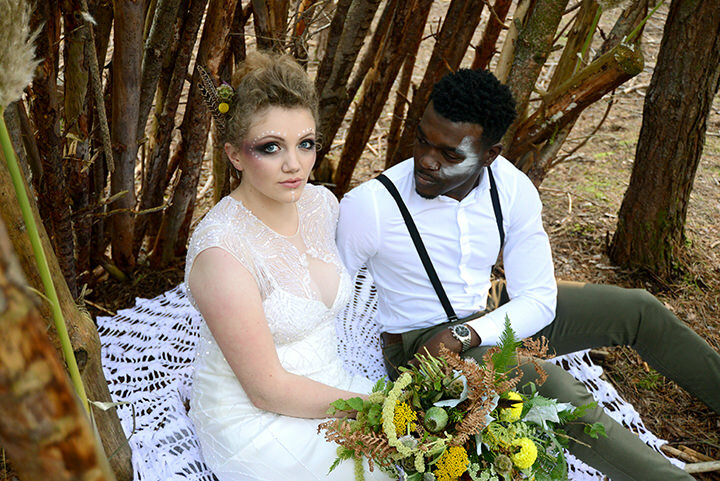 With this shoot we really aimed to put together something a little bit different and hoped to inspire couples to combine elements from different themes. 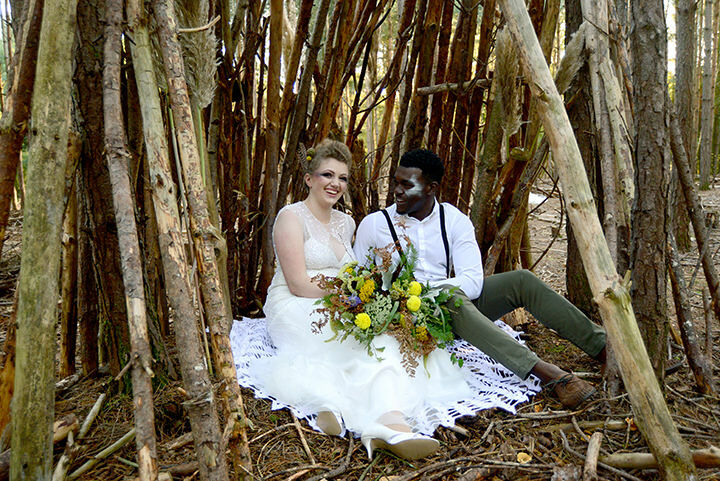 At this time of year nature really does a lot of the work for you, so we really wanted to make use of all of the beautiful autumn colours and scenery. 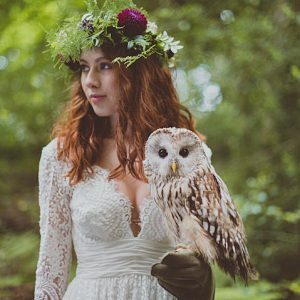 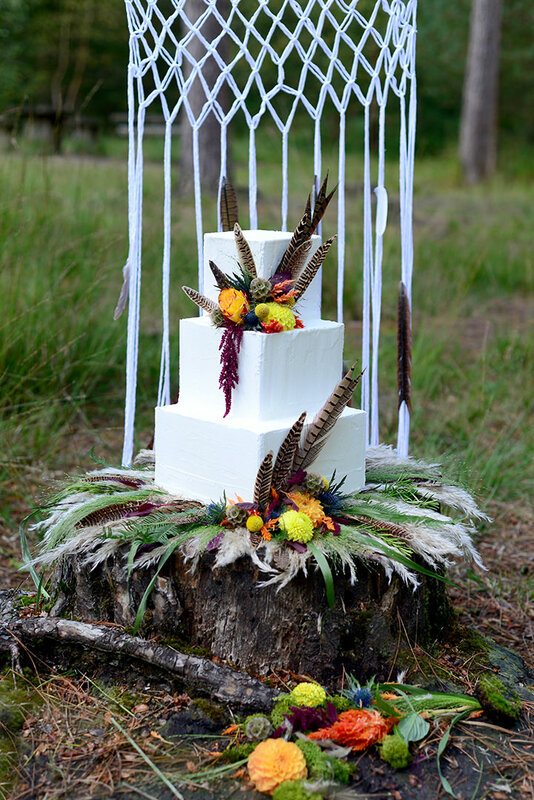 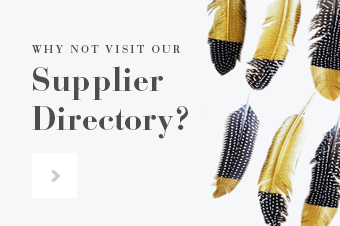 So with that in mind we chose a woodland backdrop, which we thought would be perfectly complimented by natural Navajo elements, such as the feather hair pieces and foraged and found bouquets. 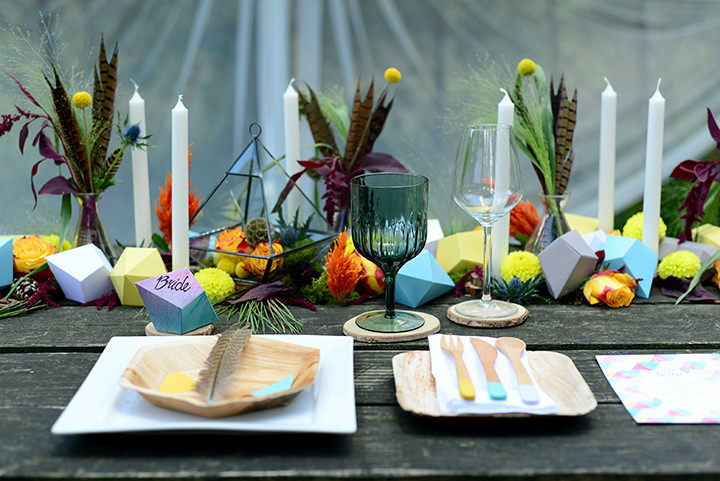 To add a contemporary twist but keeping with the Navajo feel, we took colours and geometrics from within their textiles and brought them to life through 3D shapes and bright florals. 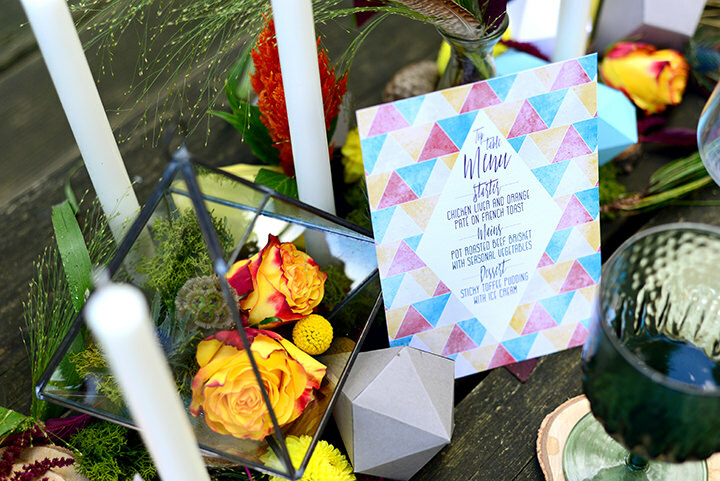 The aim was to take components from two popular but very different wedding styles and bring them together to form one powerful overarching theme. 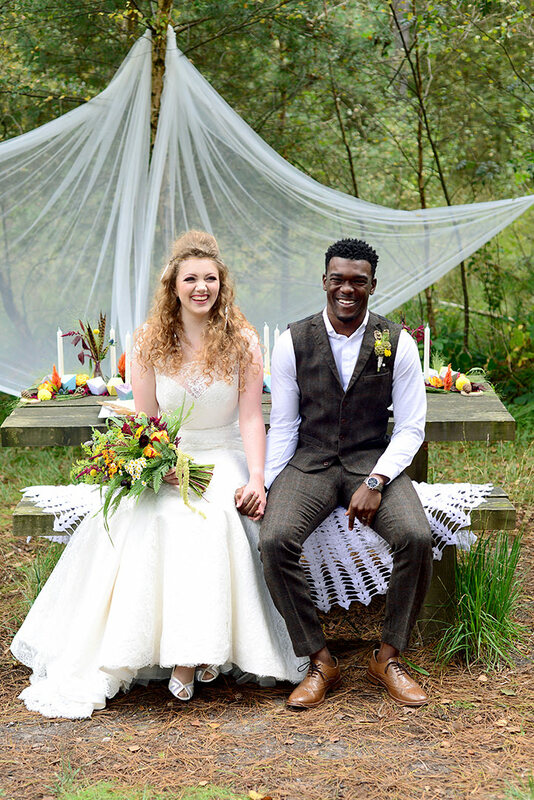 We are really happy with the outcome as we feel all of the elements sit well together and offer something new and exciting that will hopefully inspire couples planning their big day. 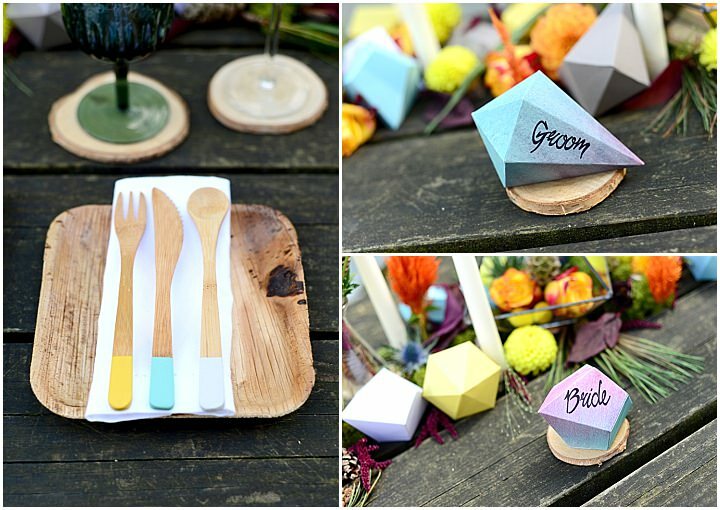 Pipii – www.pipii.co.uk supplied us with the palm leaf plates and bamboo cutlery.